For the next level pet parent in search of a solution for their bored dog, digital and interactive toys abound. With similar features as the PetCube’s treat dispenser, a new gadget has hit the market: the PupPod. 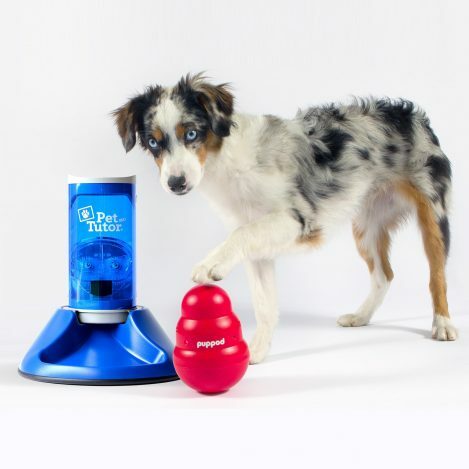 Created with two components – the PupPod Wobbler and the Pet Tutor Bluetooth feeder – the PupPod bundle turns playtime into a brainteaser and mealtime into an activity. By giving dogs plenty of mental and physical stimulation, pups will tire out, calm down, and lose the boredom blues. The big takeaways, however, are that they learn impulse control, better focus, touch on cue, adaptation to randomization and discrimination between sounds. Essentially, the PupPod bundle provides your dog with exercise and mental stimulation even when you can’t get outside for a walk, or if your dog needs a little bit more activity every day. Cynthia from Healthy Paws tried out the PupPod with her two active dogs: “I’m not sure who is more addicted to the PupPod, me or the dogs. Watching them interact with it is fascinating,” she says. Her dog Ricky caught on to the fun immediately and her other pup, Bruno, took a few days to understand; “or he was smart enough just to let Ricky trigger the treats while Bruno stayed right under the dispenser.” The two worked in tandem to score the treats, a sort of tag team duo: “Usually, the one who waits in front of the dispenser gets the treat, but sometimes 2 or 3 treats come out so they both get a shot at getting rewarded,” laughs Cynthia. Since her dogs aren’t food aggressive, the result was both dogs shared in the treats. The PupPod has not only proven to be entertaining and stimulating on rainy days, but also for pets restricted from regular exercise due to recovery. A dog who’s ordered to be crated while recovering from surgery for example can quickly get bored and even depressed. PupPod can help by being placed in the crate to help keep your pup mentally busy. 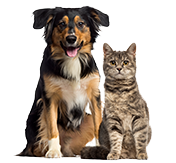 While it is by no means cheap, many pet parents agree that their dog’s happiness is well worth the $446 price tag. Full bundle includes the PupPod Wobbler toy, the Pet Tutor Feeder (with AC adapter), the Pet Tutor Floor Base and the corresponding app. Find out more at PupPod.com.